Product information "UltraSweat Spray - Wet Sweat Effect"
The new UltraSweat™ Spray simulates a shiny-wet look on skin and hair. It can simply be sprayed on. UltraSweat Spray is non-toxic and glycerine free. It can be washed off with water! UltraSweat Spray is very well suited for all areas in the art department. Enables creature designers to keep that wet look on all types of foam models. However, it dries much faster than the well-known UltraWet. UltraSweat Spray does not damage the material. 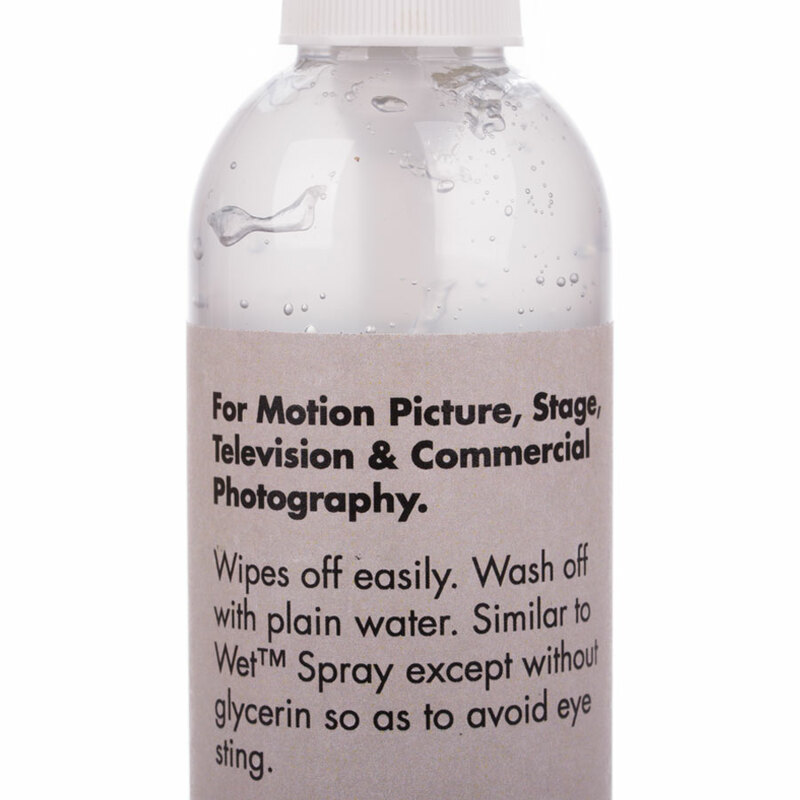 UltraSweat Spray has been developed for make up artists as, thanks to the spray head, it is easy to spray on hair or body parts directly on the set. Of course it is also a wonderful helper in the costume department. UltraSweat Spray contains no glycerine! The perfect product for the make up department! 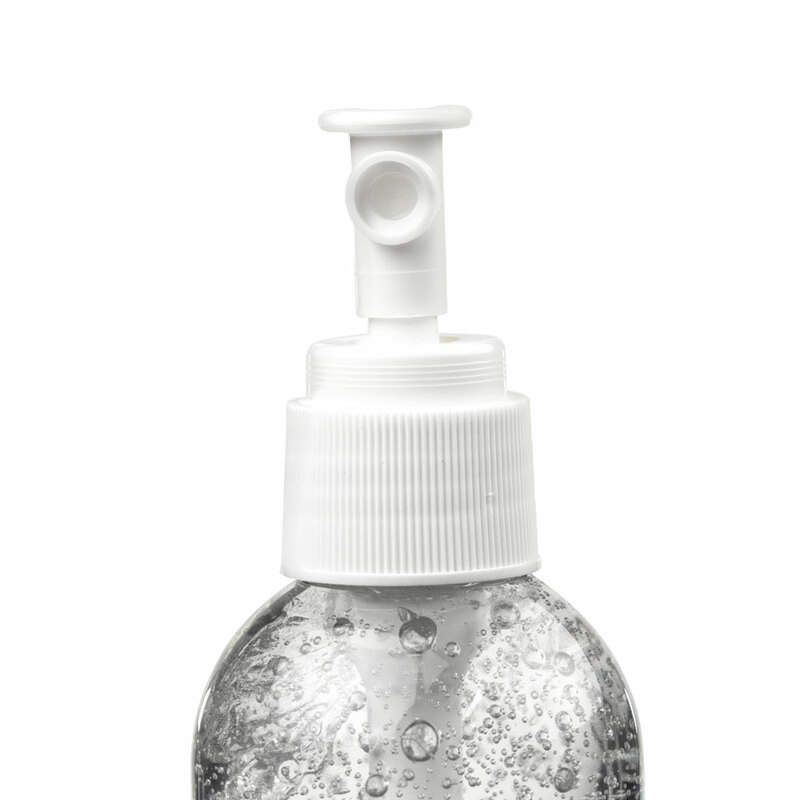 You can reactivate dried up UltraSweat simply with water mist from the spray bottle! 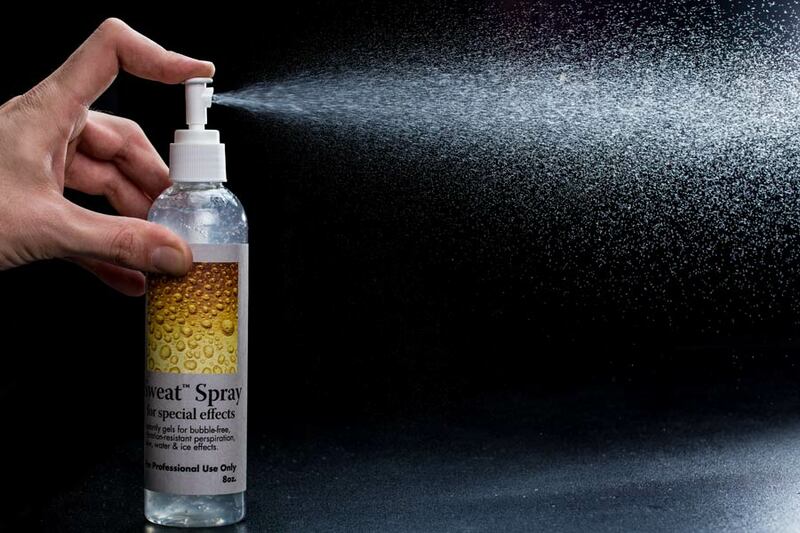 Use UltraSweat Spray like an ordinary spray bottle. Spray the gel, then spread it with a little sponge. The gel is pleasant on the skin and is easy to remove with water. For costumes, better use UltraWet Spray! It does not dry and produces a longlasting wet spot (perfect for imitation of sweat stains). Washing off is no problem with clear water. The gel can be wiped off easily from all surfaces. This water based gel is non toxic. But it does contain glycerine (against drying out) that may cause burning eyes when applied in the face. We recommend the use of UltraSweat™ around the eyes. Related links to "UltraSweat Spray - Wet Sweat Effect"
Customer review for "UltraSweat Spray - Wet Sweat Effect"
FOXY Plus - Spray at Any Angle !